* With more than 90 images, this second edition publication is highly recommended for all students of sculpture. * Addresses clay and wax modeling, wood carving, stone carving, ceramics, moist clay products, and mold making, casting and enlarging. 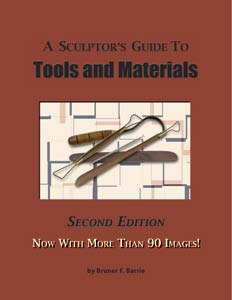 * Discusses the uses and functions of sculpting tools and materials used in traditional sculpture. * Explains how tools are made; answers questions frequently asked by store customers and students of sculpture. * Charts on proportional requirements of materials, weights and measures, plus an extensive glossary are also provided.